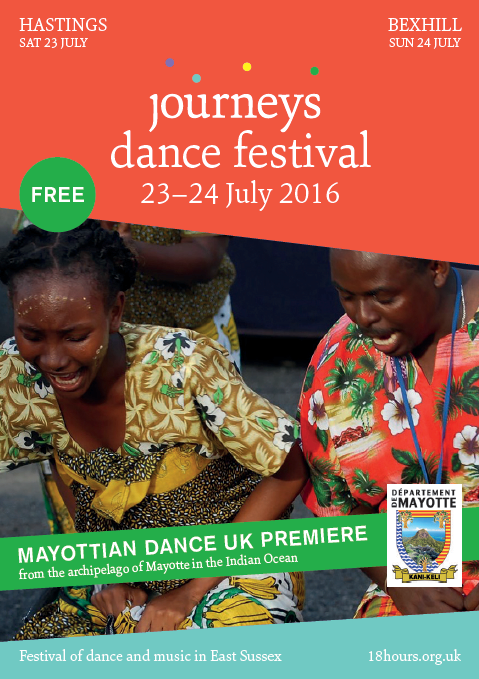 UK premiere performance by Zaza Tsara – a troupe of forty dancers from Mayotte. Mayotte is a tiny archipelago in the Indian Ocean, between Madagascar and Mozambique. It's great seeing new dance that you wouldn't normally get to see. So many different people enjoying themselves together. We took so much away from the journeys festival and hope to participate next year!